Easter is coming up so soon, and this year, I was totally ahead of our typical curve by buying our egg dyeing supplies very early. In fact, we usually dye the eggs the day of Easter, so this is very "organized" for our house. 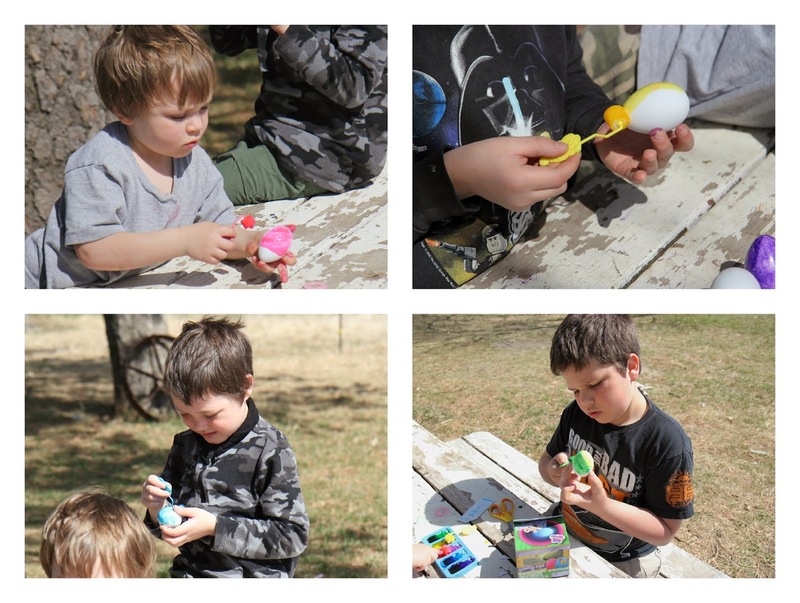 We tried the new Plastic Easter Eggs for our decorating activities. I love the idea of these: They are affordable (just $1.97 a dozen), don't ever go bad, are light and unbreakable, and they look like real eggs! 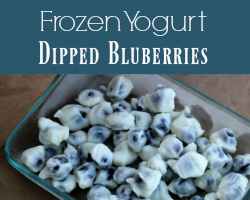 If you've ever had a dyed egg go "stinky" on you, or you can't find room in your fridge for real dyed eggs, you will probably appreciate these as much as I did. "Dyeing" these eggs was a mess. 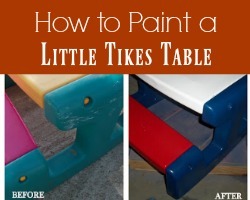 The paint that came in the roll-it kit was more like liquid food coloring, not paint. But, the kids had a blast, and we did it outside. We were sure to use Amy from MomAdvice.com's tips for removing dye to get the kids' hands looking good as new again. The only real set-back we experienced was the wind. It's Nebraska, which means - even on a quiet day - it can kick up at any moment. The plastic eggs are very light, and we had to go after a few every now and again! If you're looking for a very brightly-colored end product, the roller kit worked very well on our 100% recycled plastic eggs. We have no shortage of eggs here, with all of our chickens. But, since our hens lay dark brown eggs, they aren't that great for coloring. This product satisfies our Easter eggs decorating needs and look great for as long as you want to keep them around! 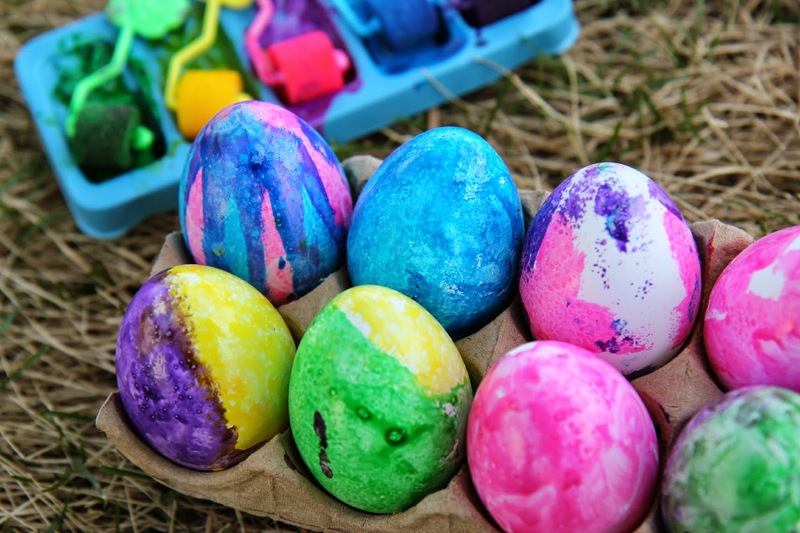 Have you colored your eggs yet? I don't like wasting the real eggs, so we use these plastic eggs from Walmart, too. We dye them--ours are more pastel than yours turned out!--and put stickers and adhesive jewels on them. Then, after the egg hunts are over, we put them in a basket as a decoration. The next year we'll decorate a new batch. Works out wonderfully for my family and we don't have a bunch of hard-boiled eggs that have been unrefrigerated for who knows how long to worry about eating! I try to catch these after Easter when they are on clearance but they go fast! I prefer real eggs. None of our decorating is impressive enough that I'd want to see it year after year after year. Besides, we like the egg cracking game. I already have a chocolate bunny for this year's winner. But it's fun to see what other families do.